Shane O'Neill is the writer of The Dracula Chronicles, a new and exciting series adding a new dimension to the Dracula myth. 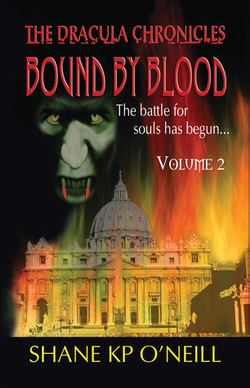 He has begun the series with Chronicle 3 to give his readers the vampire first. Chronicle 1 will follow to take you back to the beginning. The author developed a fascination with Dracula from an early age. Like many others he was enthralled by Christopher Lee's portrayal of him on the big screen. It was in his late teens that he discovered Dracula the man and the love affair began from there. An avid historian, he studied the period in which the real historical Vlad Dracula lived, 15th Century Balkan, for many years. It followed from there then that with his love of writing he would always choose Dracula as his subject. Away from writing, the author has a wide range of interests. He has lived and travelled all over the world. He has a love for all things historical, with a particular fascination for medieval Europe. Anywhere he travels he likes to search out locations with an historical interest. The Dracula Chronicles is the brilliant and terrifying new concept of Dracula. It is an epic journey through the ages where the forces of Light and Darkness struggle for supremacy until the Second Great War, as foretold in the Book of Revelations. This bitter feud began after the creation of mankind. Lucifer’s jealousy leads to the First Great War of the angels. Hundreds of thousands of years on the feud simmers beneath the surface. It plots the course of history as we know it today. Both sides manipulate the major players through the centuries to seek an advantage over the other. On a cold night in December 1431 in Sighisoara an old gypsy woman delivers a prophecy to the great Vlad Dracul. She tells him he is about to sire two sons, one an angel and the other a devil. He returns to his fortress just as his wife bears him a son, whom he names Vlad. In the very same moment across the country on the border between Transylvania and Hungary a gypsy girl gives birth to another son, Andrei. The die is cast. The twin souls are born. The young Vlad Dracula becomes the instrument of the forces of Darkness. To balance this, the baby Andrei is blessed by the angels and bestowed with awesome powers.These chronicles are their story. As his moment of death looms Dracula suffers the ultimate betrayal. The champion of the Catholic faith in Eastern Europe realises it is Lucifer who is coming to claim him. However, Lucifer does not want his soul. Instead he bites into Dracula's neck and then offers his own blood to drink. Dracula suffers his mortal death. But he re-awakens. Immortalised with Lucifer's blood coursing through his veins, the two are bound by blood for eternity. But Lucifer has groomed him for this day. He lays out the task before him. Dracula is to destroy the institution of that which he has championed for so long. By bringing down the Catholic Church he can undo the Crucifixion and turn man against God once more. If he succeeds then Lucifer will ascend again to Heaven and signal the end for all mankind. Dracula sits astride his horse, surveying the battlefield below. He has defeated another Ottoman army and won back his throne for the third time. Confident in his victory, he is unaware of the events about to unfold and the plans Lucifer has for him. 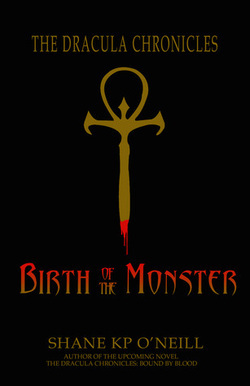 Prequel to The Dracula Chronicles series.